EX Base is supposed to be a golden lotus/flower, it has some fantastic details, lots of patterns.....the middle bit does look a bit like a sewer cover lol but when you see it close up the details are very nice. I also like that Taki really POPS with the base being 1 colour. Would i have preferred a Japanese temple or something similar? Probably yes but i can understand why F4F wanted to go with something different. As for the face i really like it, it's on point with the game, i do think she needs some hair removing from her face but we'll see what happens. I would have LOVED a switch out head with the mask, i know it's not accurate with the costume but i love her masked but overall for the price i'm very very happy with the EX! I wouldn't mind getting a better look/more angles/pictures of the face though. Some of the pictures on the site are either too far or have weird lighting to see face detail very well, and/or the angle causes the face to be obscured. Yeah - the selection of pics of her face and how the hair obscures much of her face are probably parts of what make me a bit skeptical. Female portraits are also very hard to get right, plus the hair (mostly the ponytail) looks a bit too clumpy and unnatural. The eyes aren't quite as Asian as they should be either. The flower part of the Ex base is neat, but I don't know what the center is supposed to be. I also personally am not a fan of the finish - I'd have preferred more color, like with Nightmare's Ex base. I'll still more than likely get it to support the line and make sure they get to Ivy. 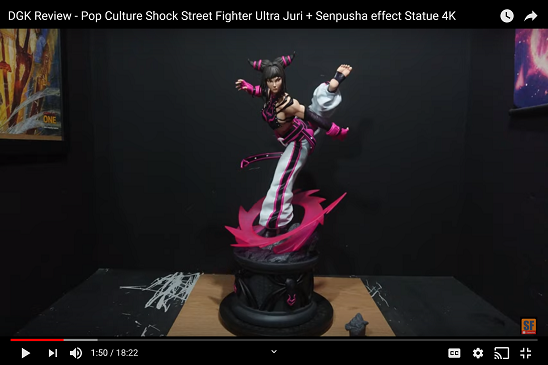 I was not feeling the EX base either when I saw the first pictures, but then I saw their video in HD and the paint looks great, with a lot of patterns and details, and now I really like the base. I think it must look beautiful in person. 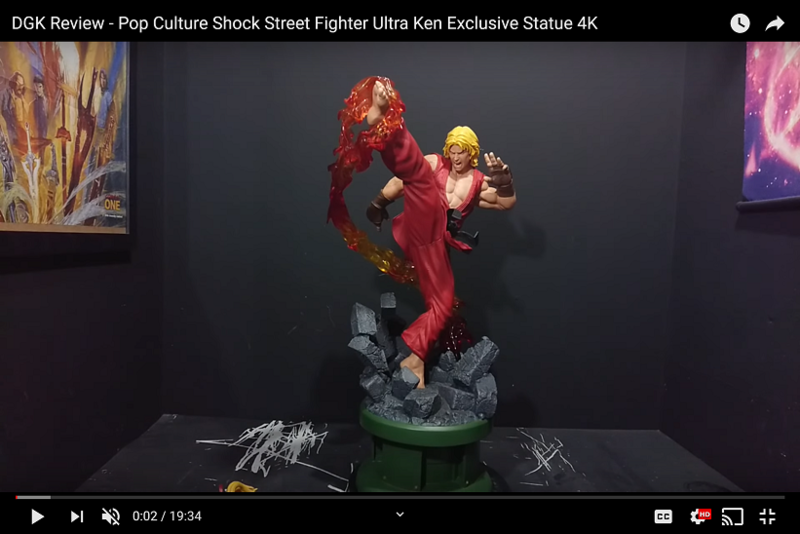 I won´t be getting this, since I can´t start another line right now, but man, it´s so nostalgic and cool to see these characters getting such awesome statues. For people in the US, can we order directly from the F4F website? If so, how bad is the shipping? Yes you can order in the US. They have a warehouse in the US so shipping is not that bad price wise, I believe its usually the lowest out of all the places they ship to. They're a small company so their shipping is higher than Sideshow but they also put foam corners around the art box like Prime 1. If the outfit had a more smooth look which would make it look like a thin outfit, I would have to consider buying this. The video has the outfit being textured makes it an easy pass for me. Eck. Ex ordered to support the SC line. Hopefully they consider improving the portrait a bit before release. To me the texture adds depth and realism to the statue, otherwise if it was all smooth it would just look like painted skin.